For the past month or so, my right eye has been perpetually watering. It's annoying, sometimes painful, and super embarrassing. Because it looks like I'm crying and all. Walking around town. In meetings at work. Out at the bar. So many tears and so much silly embarrassment. What was even worse? My left eye wasn't doing so hot either. Often, I would wake up in the morning with eye pain and watering from that side, as well. When I had to go home early on Halloween night due to eye discomfort, Adam finally got real with me. "This week, you have to make an appointment with the eye doctor," he said seriously. I knew he meant business. And I knew he was right. So this afternoon, I made my first visit to the optometrist in five years. My optometrist is tall and thin. She excitedly whirls between her various instruments and tools. She reminds me of a kind, breezy mad scientist. She does everything with a flourish, full of passion for your eyeballs. Even when she told me everything that was wrong with my eyes, it came out sounding all, And isn't this interesting and cool? It turns out that I have dry eyes (for which I was given artificial tears), an astigmatism, blind spots, and I need glasses. Finally, finally! I got to log on to Warby Parker tonight and place my order for five pairs of super hip, super cool frames to try on at home before choosing my parfait pair. The frames below are probably the ones I am most excited about. Apparently so excited that I stupidly placed two pairs in my cart. Anyhow! I've been waiting for this day since I tried purposefully failing my eye exam in the second grade. My day has finally arrived. 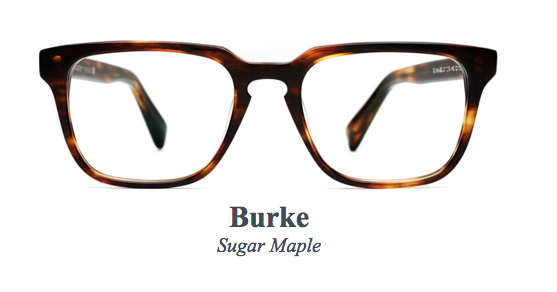 Ooh, I love Warby Parker glasses - I can't wait to see which pair you choose! My First Warby Parker Experience: Simply AMAZING!